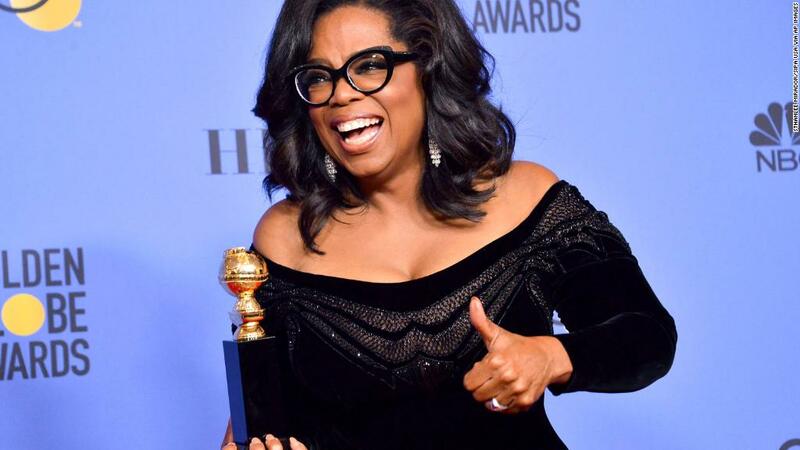 Oprah 2020: Serious chance or media hype? Oprah Winfrey's spokeswoman says "there are no plans in the works for her to run." Run for president, that is. As with any political comment, this line could be parsed multiple ways. The Democrats who want her to take on President Trump could take this to mean "she's really not running." But they could also interpret the remark as "she's not ruling it out." Winfrey, after all, wouldn't need to plan a 2020 campaign this far out. What's clear is that Winfrey herself wants to tamp down the recent buzz about possible presidential ambitions. "I am not running for president of the United States," she said in a new interview with CBS News, where she works as a special correspondent for "60 Minutes." At the same time, Winfrey confirmed that some of her friends and business associates have been urging her to run and offering to help. "I am actually humbled by the fact that people think that I could be a leader of the free world, but it's just not in my spirit," she said. "It's not in my DNA." This was Winfrey's first time being interviewed on TV since last month's Golden Globes, where her rousing speech about the Me Too movement stirred widespread speculation about 2020. "I was just trying to give a good speech," she told CBS, which published the interview on "60 Minutes Overtime," the newsmagazine's website that features in-depth discussions about stories broadcast on air. After the speech, three of Winfrey's friends told CNN on condition of anonymity that she was actively thinking about a presidential bid. In the new interview with CBS, Winfrey acknowledged that it was "worthy of thinking about." She said her best friend Gayle King "was like, everyday, saying, 'You should think about it, you always say when things show up you should think about it.'" Winfrey also said she "had a lot of wealthy men calling, telling me that they could -- that they would -- run my campaign and raise a billion dollars for me." "I think that when you have that many people whose opinions you value coming at you, it's worthy of thinking about," Winfrey said. But she coupled that comment with a cautionary note. "I've never looked outside for other people to tell me when something -- when I should be making a move," she said. "And wouldn't I know? Because, if God actually wanted me to run, wouldn't God kinda tell me? And I haven't heard that." With regards to her work on "60 Minutes," she said that "if I was considering a run, I would probably take myself out of the role of journalist or conversationalist or anything. I would take myself out of that." She has another story on the newsmagazine airing later this month. Every interview Winfrey gives is now analyzed for clues about her 2020 thinking. And she's giving quite a few interviews because she is out promoting the new movie "A Wrinkle In Time," which comes out in March. While taping a "Super Soul Conversation" with Lin-Manuel Miranda at the Apollo Theatre last week, Miranda told her "I'm not running for public office. I'm not doing anything like that," and Winfrey added, "I'm not either." Of course, there's a long history of candidates saying "no" until they say "yes." In recent days, three of Winfrey's confidants told CNN that she has not explicitly ruled out a presidential bid. But at the same time, two of the sources said she is not encouraging the speculation or taking steps to start a campaign. This lines up with the spokeswoman's new statement to CNN that "there are no plans in the works for her to run." In the CBS interview, Winfrey indicated that she wants to remain engaged in other ways. "I do feel that I have a responsibility, as a person who has a big voice in this country, to use it to promote justice and kindness and goodwill in the world," she said. "But it has never felt to me that that was supposed to be political and it still does not feel that to me."